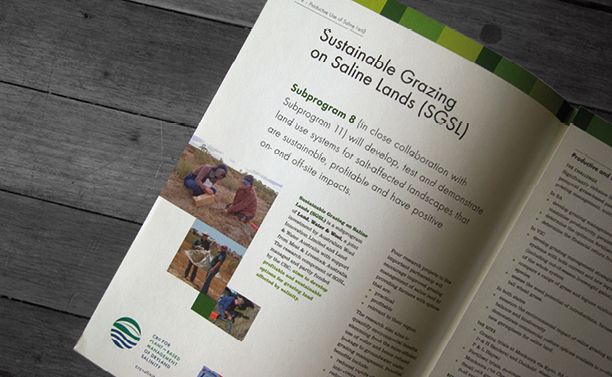 Brief: To design a cohesive suite of seven Program brochures, that showcased the important research findings by the CRC into plant-based management of dryland salinity. Rationale: Through the use of colour coding and 'blocking' we were able to create an eye-catching grid system that would work across all brochures. 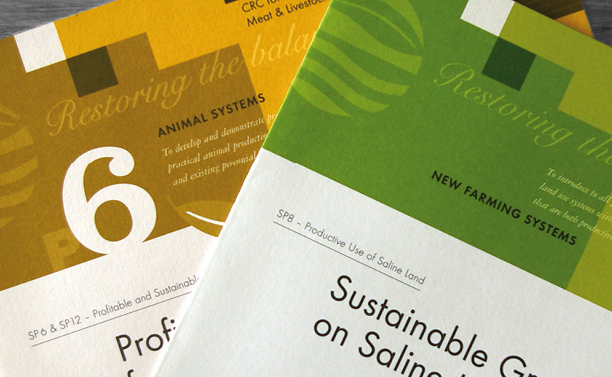 This layout helped highlight the objectives and positioning statement, ‘restoring the balance’ of the CRC. 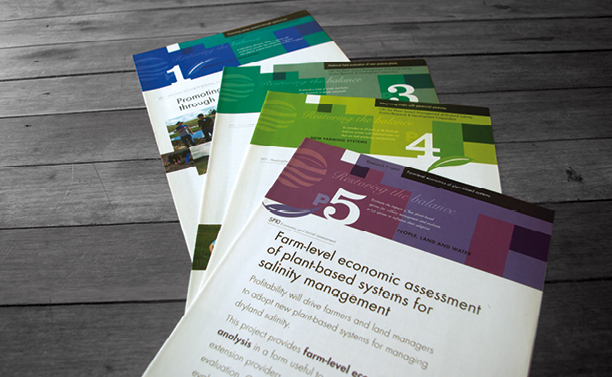 A vibrant range of colours were selected for the seven individual Programs clearly differentiating each at a glance, while still looking like a unified brochure suite.